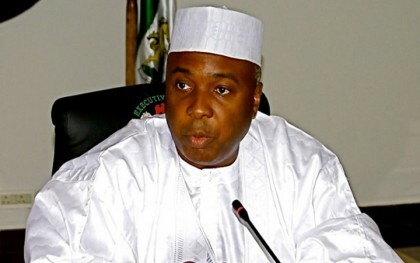 Senate President, Dr. Abubakar Bukola Saraki, has lamented the abandonment of critical infrastructural projects after investing huge amount of money on them. Receiving the Niger State Governor, Abubakar Sani Bello, who paid him a visit today in Abuja, Saraki said the action has resulted in a waste and left the country with little options in times of eventualities. He noted that the non-completion of re-modeling projects of Minna airport has left the Federal Government with no option or backup to the diversion of flights to Kaduna to allow for the rehabilitation of the Nnamdi Azikiwe International Airport, Abuja. “It makes a lot of sense to have an option. It is the lack of option that brings us to where we are that we cannot make a good choice,” he said. He assured the Governor that funding provision would be made for the completion of the abandoned dualisation of Suleja-Minna road project. He urged the Federal Emergency Roads Management Agency (FERMA) to immediately commence the rehabilitation of the existing road to alleviate the sufferings of motorists and other users of the road. On the completion of Boro Port, Saraki said it was regrettable that the project was abandoned after huge sum of money had been invested in it. “We will definitely ensure that it is completed because of its potential to increase businesses,” he said. Earlier, the Governor had urged the Senate to intervene and ensure that urgent completion of abandoned projects at Minna Airport with the aim of making it a backup to Kaduna airport after the closure of Abuja airport. The equipment and materials required, he said, were already on ground to beat the March deadline before the closure of Abuja Airport, adding that with that arrangement, airlines would have an option to choose. He said the Kaduna Airport has no capacity to handle the expected high volume of traffic as a result of the flight diversion. 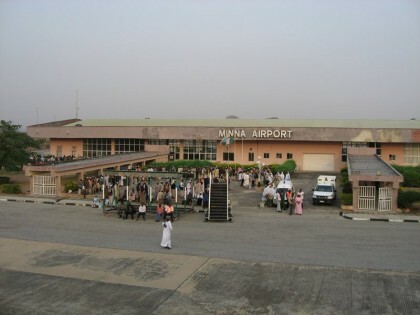 The runaway at the Minna Airport, according to him, is longer than that of Kaduna airport, and proposed that the two airports should be designated for the diversion to avoid national embarrassment. “If this matter is not handled properly it will cause us a serious national embarrassment. The Governor further sought for the support of the Senate in the completion of the dualization of the Suleja-Minna road and Boro Port.